Sanctuary Cities defying President-elect Trump’s illegal immigration plans! 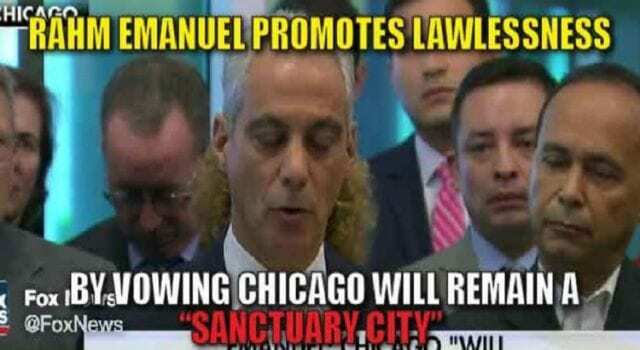 In keeping with the Democratic Party’s tradition of only following laws with which the liberal-left members agree, while ignoring or vilifying the laws with which they disagree, Democrat mayors and politicians in a number of major U.S. cities have fiercely and defiantly spoken out: They will not cooperate with the Trump administration in its goal to rid the nation of criminal aliens who prey on American citizens. Next articleThe Democrats are proving how deaf they really are!